Dr. Leo Cloman, 70, died Wednesday, August 29, 2018, at the University of Michigan Medical Center following a hard-fought battle with leukemia. He was the epitome of a great husband, father, pawpaw, in-law, and man of faith. He was born on August 20, 1948, in Monroe, Louisiana. 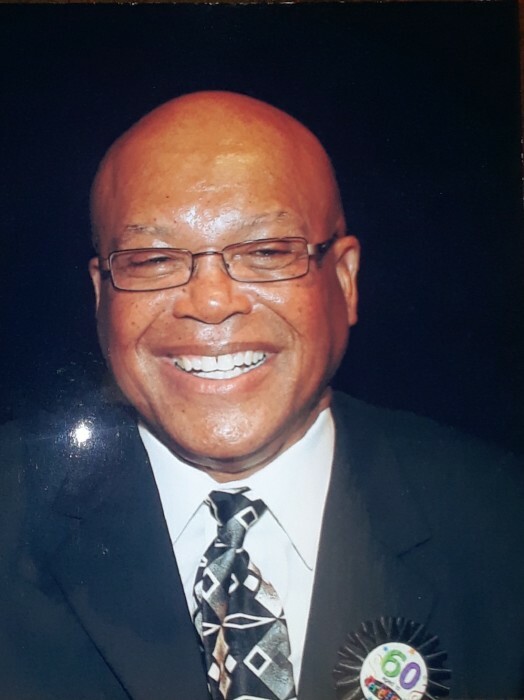 He left Louisiana in 1967 to pursue his education in Michigan where he received a bachelor’s from Western Michigan University; a master’s degree from the University of Michigan and a master’s and Ph.D. from Michigan State University. Also, in Michigan, he met the love of his life, Dell, while out on a blind date. They were married on March 28, 1970. He gave 35 years of service as an educator in various school districts in Michigan serving as a teacher and principal. In retirement, he devoted his life to his family and being a Pastor at the East Main Street Church of Christ. He is survived by the love of his life for 48 years, Willie Dell Cloman, his three beloved children Nicole (Clinton) Gray, Leo Mikel (Lisa) Cloman and Torri Washington; his two beautiful grandchildren Cadence Lillie and Cruz Mikel. His mother Deasy Cloman, his siblings Geri, Beatrice, Greg, and Dempsey. He also inherited nine siblings when he married Dell who became his bonus family – Betty, Earl, Josie, James, Ed, Lola, Shirley, Vincent, and Rick. His host of aunts, uncles, cousins, nieces, nephews, friends and his church family East Main Street Church of Christ. Leo was also a proud member of Alpha Phi Alpha Fraternity and is preceded in death by his in-laws who were very special to him Robert and Leola Dawkins and his brother Sam Cloman and all those who blessed his life at one time. Funeral services will be conducted on September 6, 2018, at 11 am at the East Main Street Church of Christ -1451 E. Main Street in Benton Harbor, Michigan. Friends and Family will meet the night before on September 5, 2018, at the East Main Street Church of Christ from 6-8pm. Burial will be following the funeral services at the North Shores Memory Gardens.